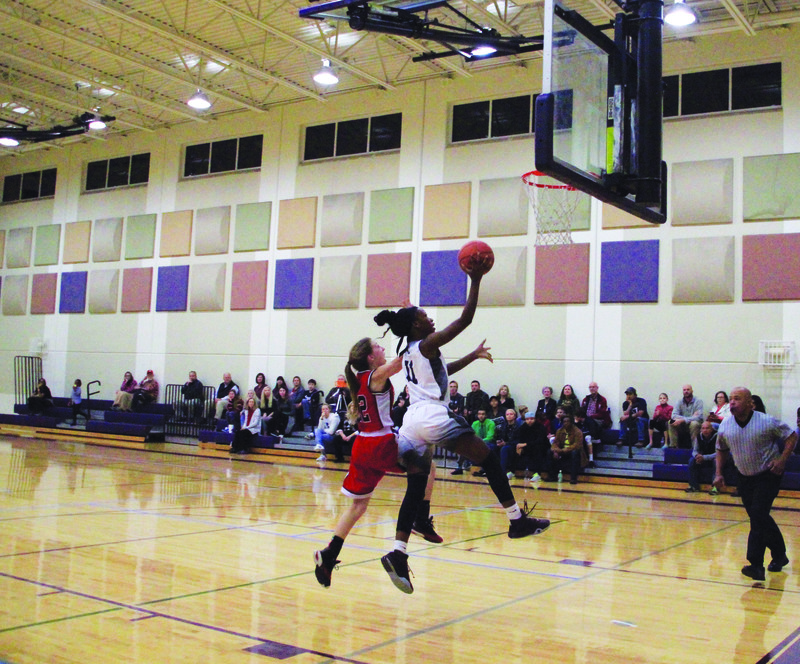 Senior Alexus Jones goes for a layup, adding another point for the lions in their game against Express. Lady Lions won this game 67-26. 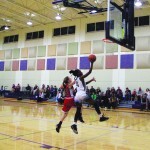 Girls Varsity basketball team has quite a promising season ahead of them, according to their strong start. With Returning seniors, Kenley Machen and Melody Burris, along with two senior transfers, Alexus Jones & Emily Sigrist, the team has grown immensely in number, along with skill. Last year they had only one senior on the team.Seniors however are not the team’s only stronghold, they also have several new freshman on the team along with a few new students including Juniors Jazmyne Jones and Nydia Cushinberry. The team has only lost two of the nine games they have played, both of those losses being under 5 points. Their winning range has been up to the sixties. All of this has happened in only the first month of their season. District has not begun, yet it is clear to see that Grace will be a team to be reckoned with. Aside from their growth in skill and numbers, the team has also grown closer to each other. Overall the team may be in store for quite a fun and successful season. This dynamic team invites you out to watch them play. Written by: Morgan Reynolds on 16 December, 2016.